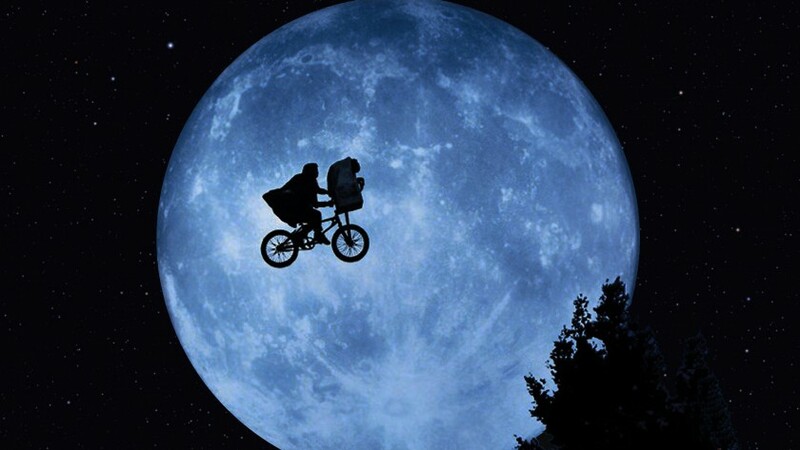 Edinburgh International Film Festival (EIFF) and the Royal Scottish National Orchestra (RSNO) are delighted to present the UK Premiere of Steven Spielberg’s legendary E.T. THE EXTRA-TERRESTRIAL, accompanied by John Williams’ iconic score performed live by the RSNO on Saturday 25 June 2016 at the Festival Theatre Edinburgh. Tickets will go on sale Friday 5 February from 10am and can be bought from Filmhouse Box Office, 0131 623 8030, or online atwww.edfilmfest.org.uk. A global cultural phenomenon, E.T. THE EXTRA-TERRESTRIAL was directed and produced by Steven Spielberg and tells the story of a lonely boy who befriends an alien dubbed E.T., who is stranded on Earth. The film was the highest grossing film of the 1980’s and is widely held to be one of the greatest science fiction films ever made having been released and re-released no less than three times since 1982. Edinburgh International Film Festival hosted the UK premiere of E.T. THE EXTRA-TERRESTRIAL in 1982, where it was the opening night film. This screening will form a key highlight in EIFF’s 2016 programme falling on the last Saturday of the Festival. The event is being staged with the support of Sir Ewan and Lady Brown. 2016 marks the 70th edition of the Edinburgh International Film Festival, making it the longest continually running film festival in the world. Since its inception, the Festival has sought to bring the best of world cinema to UK audiences and championed the work of the most pioneering and innovative film makers. 2016 will be no exception with the Festival showcasing a huge array of the best in feature films, shorts and documentaries over the twelve-day period. Preceding this year’s EIFF the RSNO will be celebrating the iconic music of composer John Williams. Led by conductor Richard Kaufman, who recorded many film scores with Williams, The Music of John Williams will feature music from Schindler’s List, Star Wars, Harry Potter and the Philosophers’ Stone and many more on 5, 6 and 7 February in Edinburgh, Glasgow (sponsored by Capital Document Solutions) and Dundee. The RSNO and Richard Kaufman return to Edinburgh (sponsored by Miller Homes) and Glasgow on 4 and 5 of March respectively withHollywood Heroes and Superheroes, featuring music from Superman, Batman, Indiana Jones, Spiderman, and many more. Further information and to buy tickets visit www.rsno.org.uk.